98/05/05--NFPD BIKE AUCTION--DAN CAPPELLAZZO PHOTO--D.A.R.E. 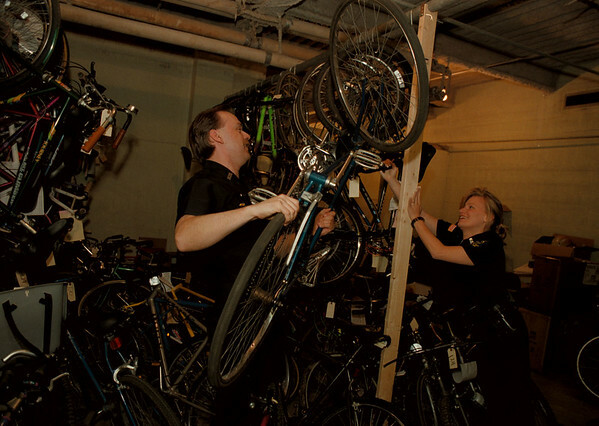 OFFICERS NEIL STENZEL AND ANGELA DOBRISZ ORGANIZE BIKES IN THE POLICE BASEMENT IN PREPERATION FOR THE MAY 16TH BIKE AUCTION AT THE WESTSIDE OF THE HYDE PK. HEADQUARTERS.